When you think about an Arabian, Dressage might not be the first thing you think about – but it should be. Why? 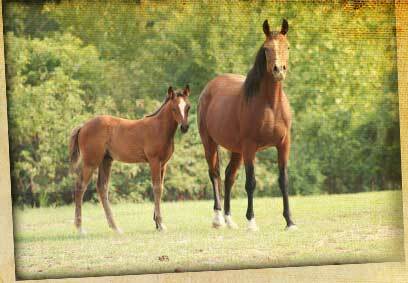 Dressage is a discipline for any breed and is a good foundation to help prepare your Arabian for any future. Dressage was originally developed to give cavalry soldiers an advantage in battle. Military horses needed to be supple, powerful, agile and highly trained. These are all traits that are highly valued in the disciplines of today. Arabians are uniquely well suited for Dressage for many reasons. Their great intelligence, soundness, stamina and “look at me spirit” allow them to succeed from beginner to the highest levels. It is an exciting challenge and a great way to create a confident and athletic horse. It’s also a great way to improve your riding and to bond and grow with your horse whether you choose to compete or not. Arabians are gaining more and more respect in Dressage competition thanks to dedicated riders like Patience Prine-Carr, Samantha Hodgson, and Kim Lacy. All of these riders have medaled with their Arabians at the highest levels. 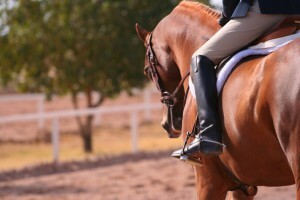 Shows and competitions are great fun because it’s all about you and your horse and what you do together. You receive individualized feedback from the judge that can guide you to future success. Dressage is a building block used to produce strong, balanced, and confident horses and riders who work together to achieve an enjoyable partnership. It’s a great place to start your under saddle journey whether you compete or not.